South River Lavender grows lavender, specialty cut flowers and herbs. We are actively involved in the Amador County community of small farms and ranchers that provide products to our local farmers markets. Ron is a board member of Farms of Amador and has been instrumental in developing a school farm tour program for Amador County. Over the last 2 years the FOA funded program has brought over 300 Amador County students to local farms to learn directly from farmers about seasonal food, organic growing methods and the importance of sustainable farming. We ask that you consider joining the Farms of Amador to help fund the farm tour school program and other FOA sponsored community activities. See www.farmsofamador.com for more information. 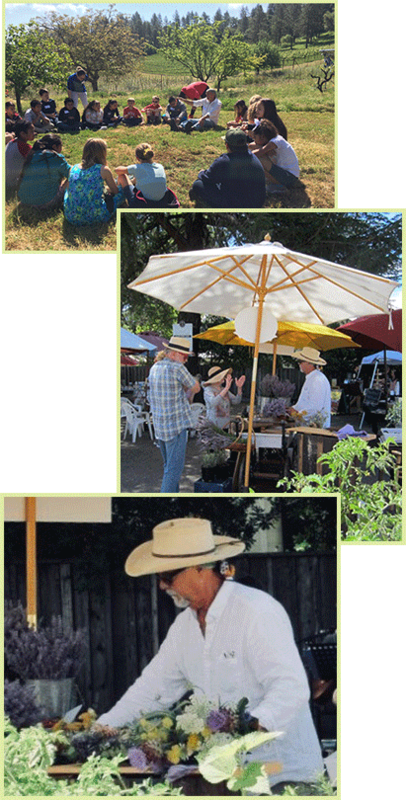 Ron has been the president of the Amador Farmers Market Association for the last 3 years. 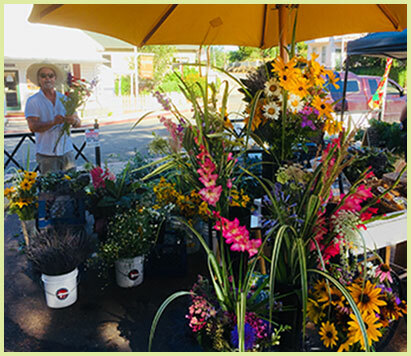 In addition to our own lavender offerings, he formed Foothill Flower Co-op with several other small farms to provide fresh-cut flowers at our local markets. We enjoy the opportunity to bring our lavender products to market and will continue to support the Farmers Market Association effort to provide a quality market experience for our community. South River Lavender products can be purchased at Amador County Farmers Markets in Sutter Creek, Pine Grove and Plymouth. Please see www.amadorfarmersmarket.com for market activities, locations and dates. Our farm is not open to the public for tours or U-cut activities.